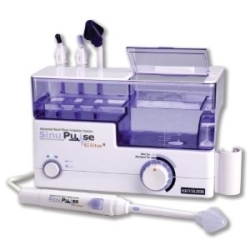 There are several remedies for sinus, one of the most common healthcare complaints worldwide. They range from conventional medicine to alternative therapies. Neti, a saline nasal irrigation method that involves the use of a neti pot, is a simple, low cost and effective remedy for keeping the nose and sinuses healthy. In this article, I will share with you some background and benefits of this sinus infection treatment method and explain to you how to use a neti pot. I won’t be surprised if you find this term a little alien because I did as well initially. A neti pot is a small container, either ceramic, metal or plastic, with a tapered spout and an end about the size of an average person’s nostril. It comes in various sizes and capacities. It looks like an Aladdin’s lamp actually. First, the neti pot is filled with a mild saline solution, comprising warm water mixed with a small amount of salt. Salt is well-known for its antiseptic properties and has been used centuries ago to fight infections. Then, the spout is inserted into a nostril and the head is positioned so that the water, under the force of gravity, flow into one nostril and out from the other. Do likewise for the other nostril. Ensure that at least four ounces of the solution runs through each nostril. Use only non-iodized salt, sea salt, halite (rock salt), or kosher salt for your solution. Table salt is unsuitable as it contains iodide and other chemicals that prevent the solution from flowing freely. Also ensure that the water is close to body temperature. Neti can be done over the bathroom sink, while you are in the shower, over a large basin, or outdoors. Just ensure that you have the stuff you need and paper towels or tissue if you are not in the bathroom. Remember to dry your nose thoroughly after the Neti process. Turn away from the sink and bend at the hips until the top of the head is pointed toward the floor. Maintain this position for about 10 seconds. Use the paper towel or tissue to catch any remaining solution that will drip out. Return to the upright position and lean over the sink. Close one nostril with the middle and ring fingers, breathe in through the mouth and gently blow out through the open nostril 10 times. Do likewise for the other nostril. What are the Benefits of Neti Pot? Image from Flickr. Courtesy of Sherrie Super. Furthermore, it does not cost much to carry out the Neti process, as it involves only a neti pot, salt and water. And more importantly, it’s a proven remedy used by the East and the West for nasal relief. 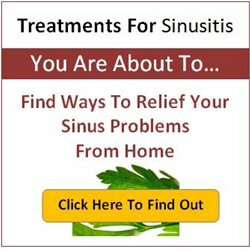 If you have tried Neti Pot and it does not work for you, you may want to consider this ebook “Treatments For Sinusitis” written by Larisa Callaghan, a chemist and sinus health educator. The word “Neti” is actually a term used in Hatha Yoga to describe an ancient practice which is part of the six cleansing techniques, also known as kriyas that is practiced in India many years ago. This technique is performed with the help of plain water, salt water or with a special knitted cord. The usage of a neti pot is essentially a modern version of this old-school cleansing technique. It is adopted by many modern-day yoga schools. With that, I have come to the end of this article and I hoped that I have added some value to you. Most importantly, if you have achieved success with neti pot, please come back to my blog to share with us your experiences so that we can learn from each other.